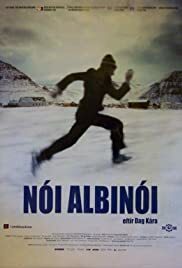 90 min [ ] - 17 year old Noi drifts through life on a remote fjord in Iceland. In winter, the fjord is cut off from the outside world, surrounded by ominous mountains and buried under a shroud of snow. Noi dreams of escaping from this white-walled prison with Iris, a city girl who works in a local gas staion. But his clumsy attempts at escape spiral out of control.